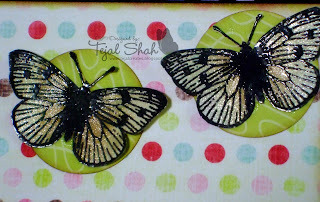 Lulupu - The Craft Lounge: Fluttering Wishes! Wow!! 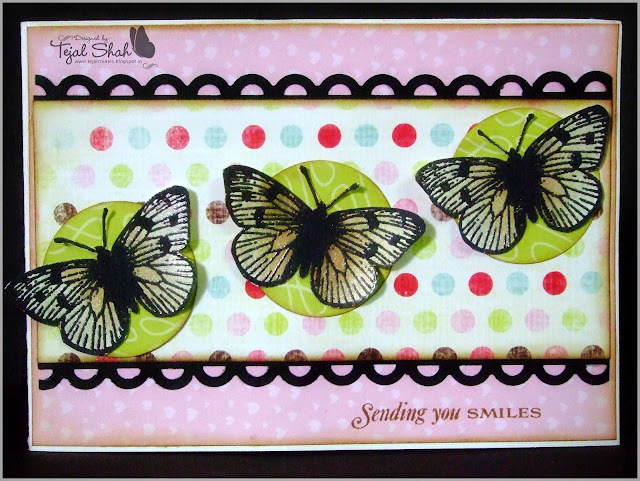 Amazing butterflies and yes I do agree...cards are incomplete without butterflies!! I love these butterflies Tej!!! Fantastic card!!! Trust you to come up with this and taht too flawlessly.you have lived up to your name butterfly girl. your cards are just gorgeous!!! 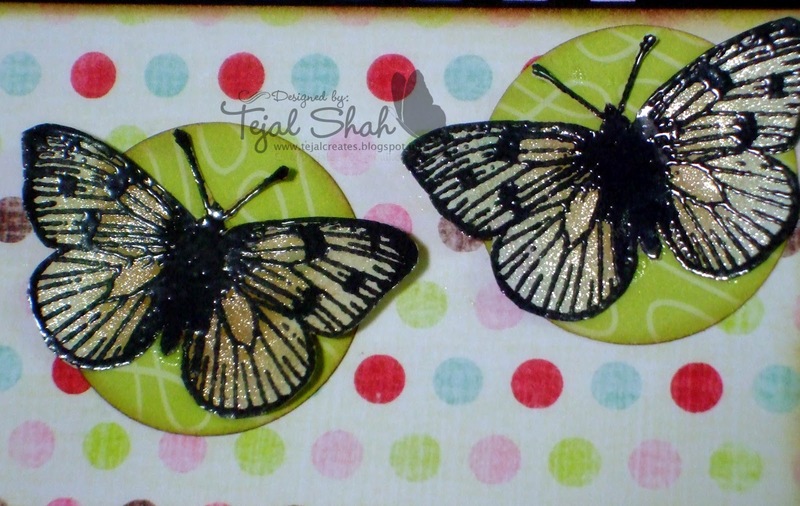 i love those butterflies...no one does them like you the perfect embossing and coloring they look so natural!! !i love the colors and the placement to its so perfect!! 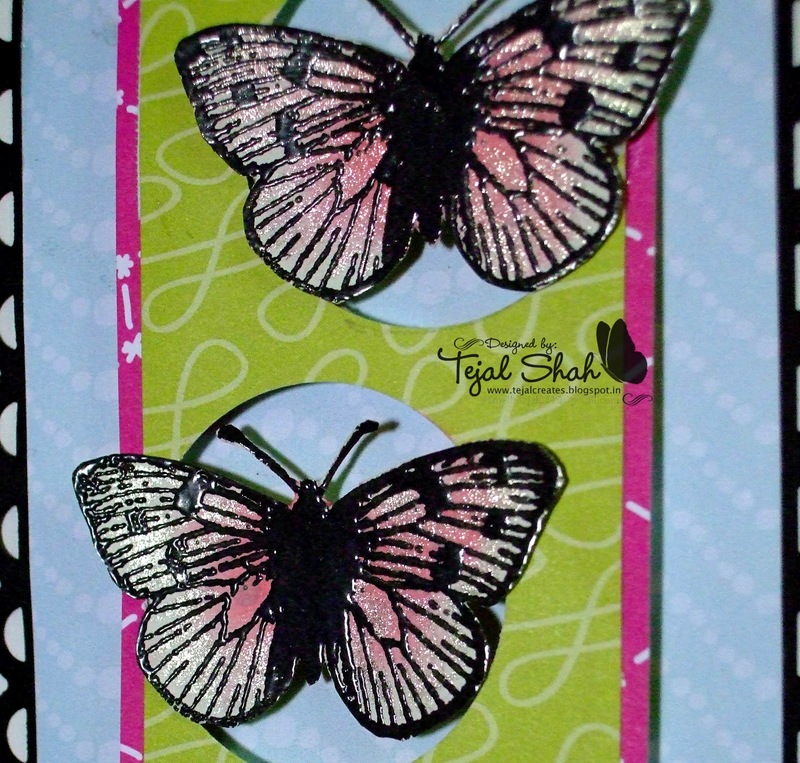 Even though I make cards with hardly any special stuff whenever I see your creations Tejal I am tempted to get embossing powders, cuttlebugs and what not. Karuna is surely a good businesswoman to enlist you in her DT team!! Stardust shimmer is looking gorgeous.. both the cards are b'ful! 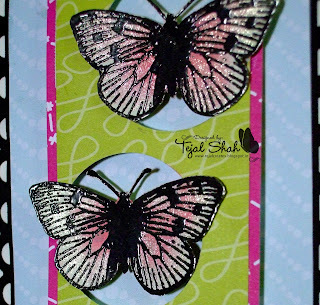 absolutely stunning.. Love the subtle hint of glitter and color on the butterflies.. Great work Tee!! Tejal, those butterflies look like they've been taken out of a fairy tale and put here!!! The shine on them sets them apart... I am so much in awe that I didn't even see what was around them!! :P Fab!! Totally fab! Such pretty flutterby butterflies and fab colours. Thanks for joining us at Di's digi challenge. Beautiful card!! Love the butterflies!! 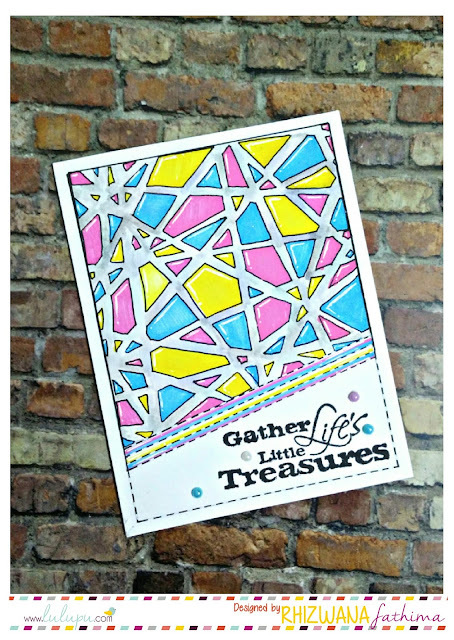 Thank you so much for playing along with this weeks challenge over at The Pink Elephant. Beautiful card and those butterflies are so gorgeous. Thanks for joining Di's DigiDesigns challenge.